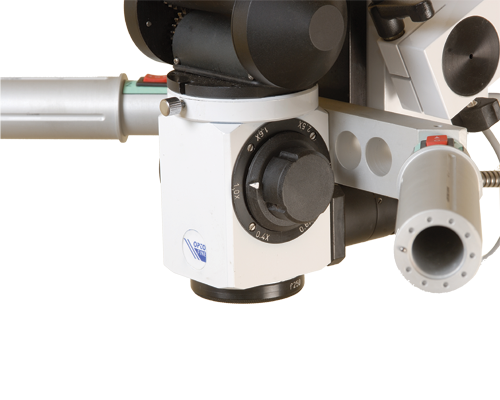 NEURO Surgical Microscopes – Optofine Instruments Pvt. Ltd.
We are Manufacturer, Supplier, Exporter of NEURO Surgical Microscopes and our setup is situated in Sangli, Maharashtra, India. Superior optical quality with cutting edge LED illumination. High resolution and wide field optical system having exceptional depth of field. Sharp 3D image can be observed with high fidelity & Depth. In Built LED Illumination offer low heat generation low power consumption LED Illumination also guarantees greater contrast and natural color. Specially designed ENDOPORT type Beam Splitter for Neuro Surgeons. Beam splitter relay lens with 50:50, 80:20, 90:10 ratio for proper light loss during surgery. Demonstration monocular tube CCD camera. Opto fine Bliss neuro Surgical Microscope combines brilliant optics with superior maneuverability. The razor sharp Image and large depth of vision allow surgeon to identify precise details. 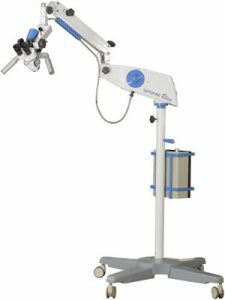 Desined as an Neuro Surgical Microscope opto neuro bliss Is also ideal for spine, hand Plastic and ophthalmic surgeries. 250 W Xenon lamp (Optional) with emergency 24V / 250W halogen lamp through fiber optic. 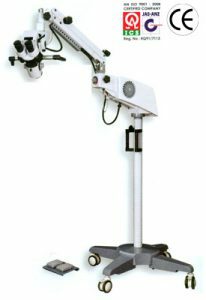 The ergonomically designed tiltable preloaded mechanism helps the surgeon to balance microscope head horizontally, vertically, laterally without help of any knob claming. Dia 60 mm to Dia 10 mm. Legendary optics has been developed to deliver optimum comfort to surgeon..
Apochromatic optics ensure outstanding color fidelity, razor-sharp, crisp imagery and an unprecedented level of detail. A new zoom design delivers amazing depth of field and reduces eyestrain and the need to refocus. Amazing light transmission. Unique two-way light path illumination to reduce shadows.